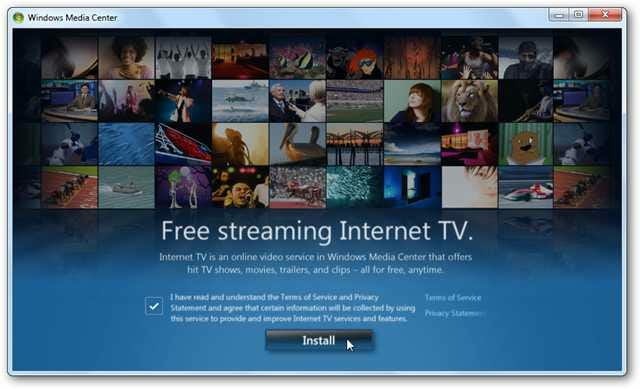 Even if your computer doesn’t have a TV tuner card, you can still watch broadcast television programming with Media Center in Windows 7. Today we take a look at some of the features and how to get started. 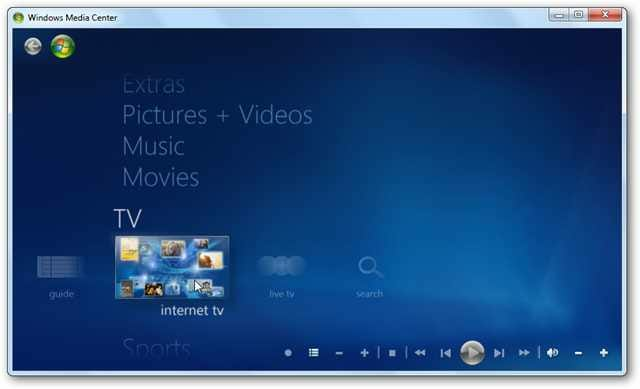 Earlier this week in another Learning Windows 7 post, we showed you how to set up live TV in Windows Media Center (WMC). 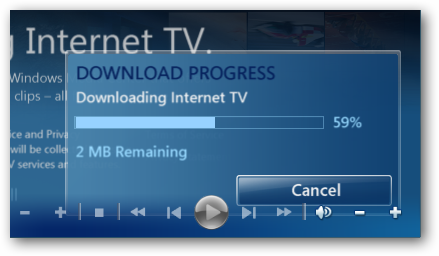 Not everyone has a TV tuner card and maybe can’t install one…in a laptop or netbook for example. Update: This feature may not be available in all countries. 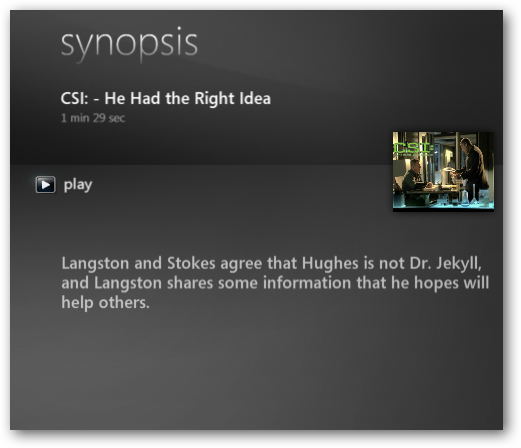 Users who are in the UK should be able to use Sky Player which integrates into WMC. If you’re in the US and don’t see this option, make sure you have all of the latest updates for WMC. Open up WMC and scroll down to TV then over to Internet TV. In the next screen, check that you accept the Terms of Service and click on Install. 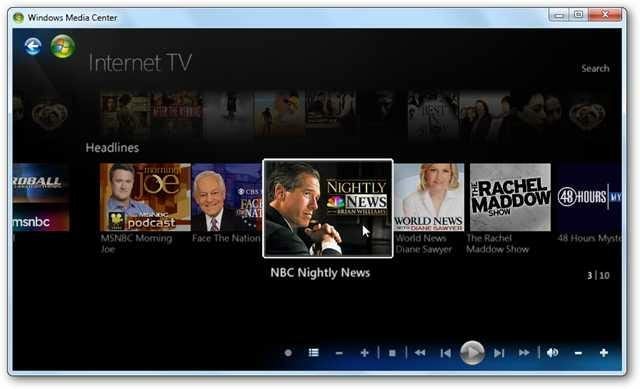 Now you can begin browsing through the available programming, which varies from classics to the latest editions of your favorite news, Showtime and CBS shows. Browse through Golden Globe winning shows and also Netflix (which requires a subscription). 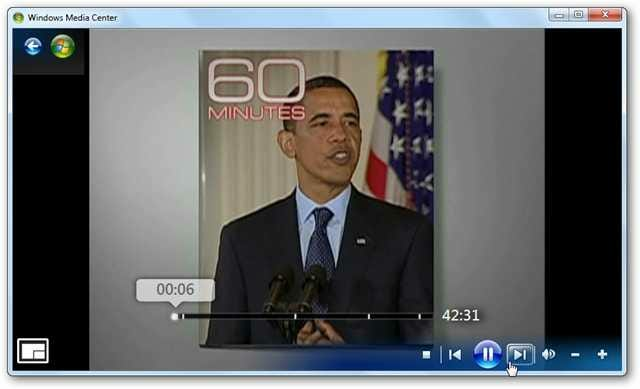 Get the latest news and current events type programming such as 60 minutes and nightly news broadcasts. CBS Classic is always a lot of fun too for checking out the old school shows. 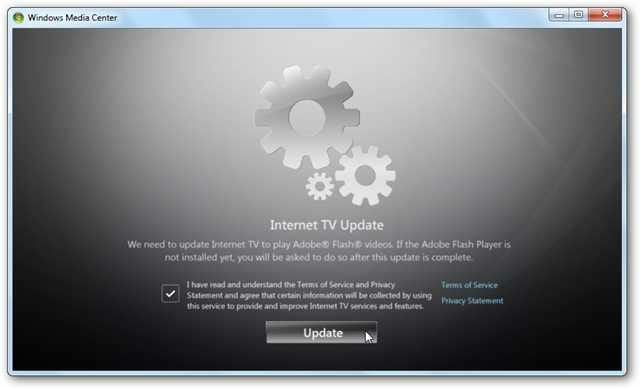 If it’s your first time watching a show you may nee to install the latest version of Adobe Flash. Now you can sit back and watch some of your favorite programming. 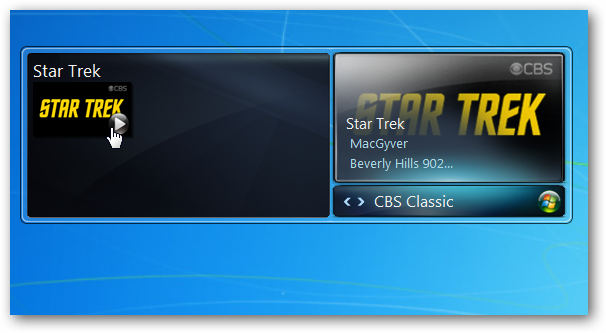 If you’re a fan of Desktop Gadgets, you can use the WMC one to scroll through shows from the gadget and launch them in WMC. 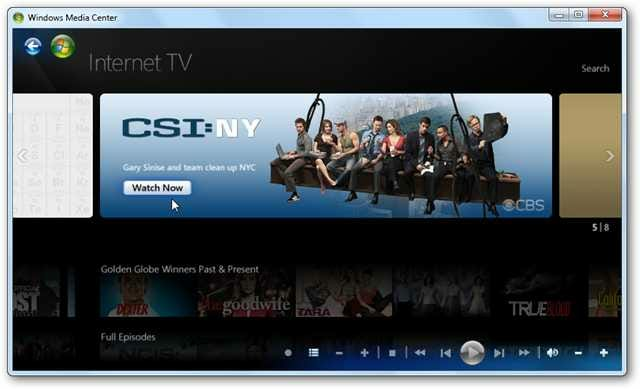 If you’re looking to watch TV on your computer, this is yet another way of quite a few methods, including several online options such as Hulu. 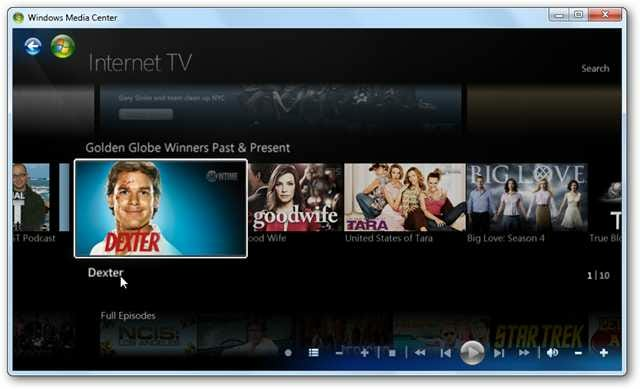 This method is quick to setup and allows you to watch some limited programming on demand with WMC in Windows 7. 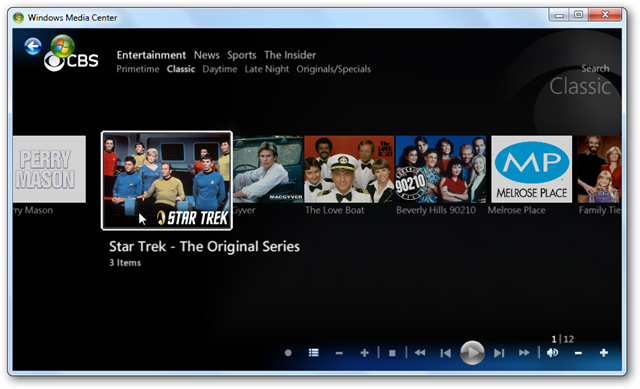 Not all programs are full episodes, but does include clips from several of them. In the future we’ll be taking a look at some other types of Internet TV and video streaming options you can incorporate into WMC.